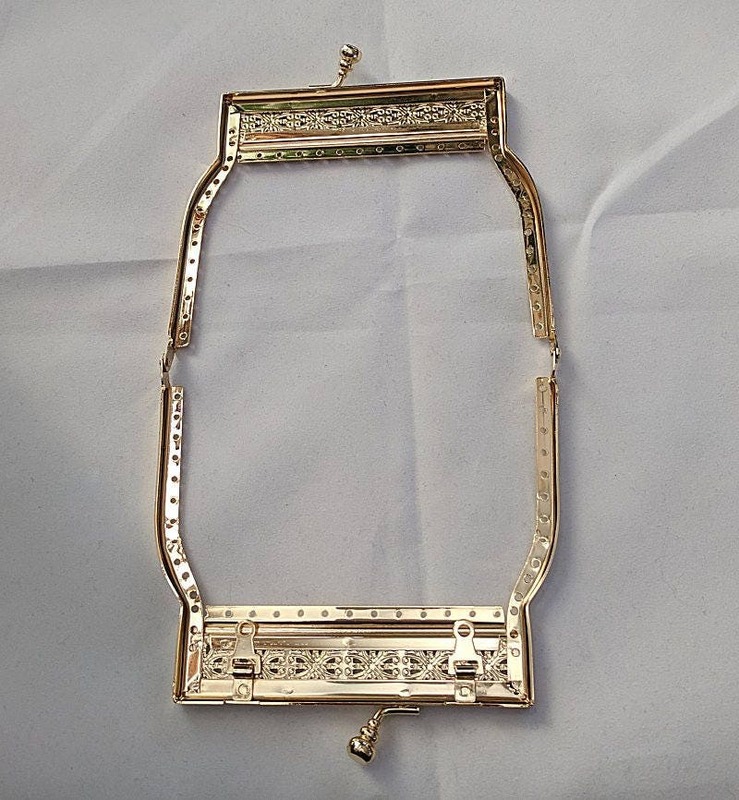 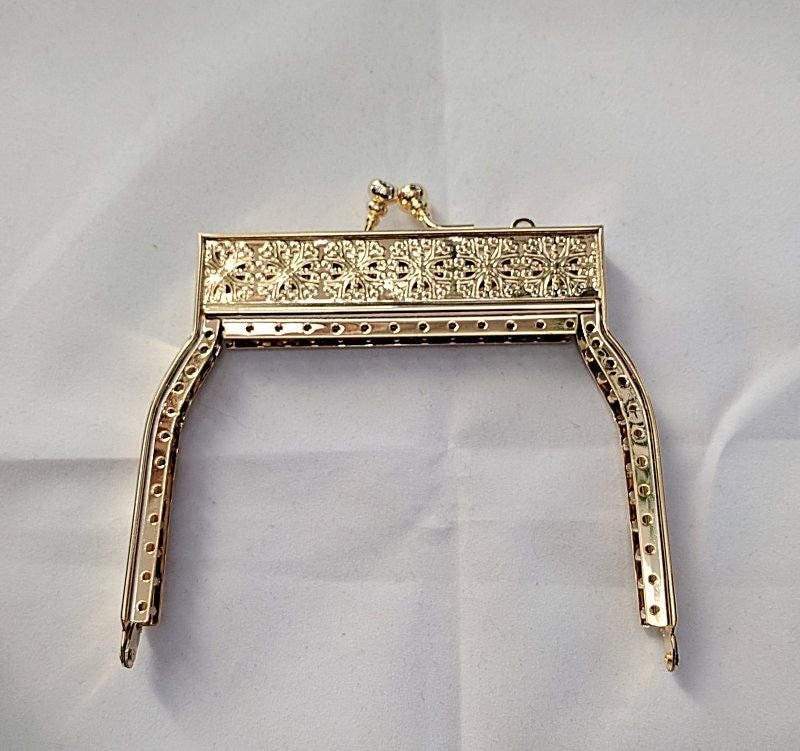 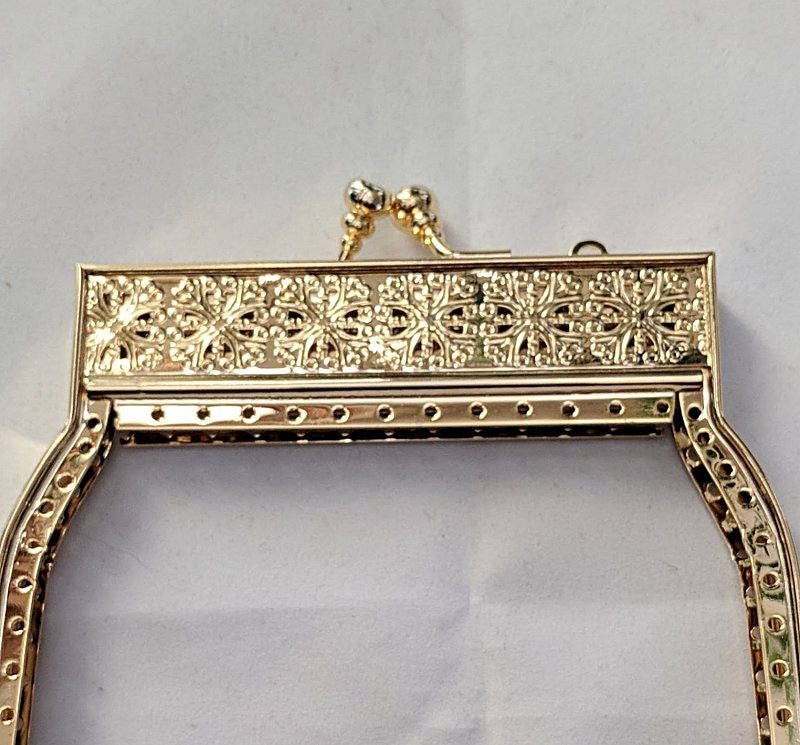 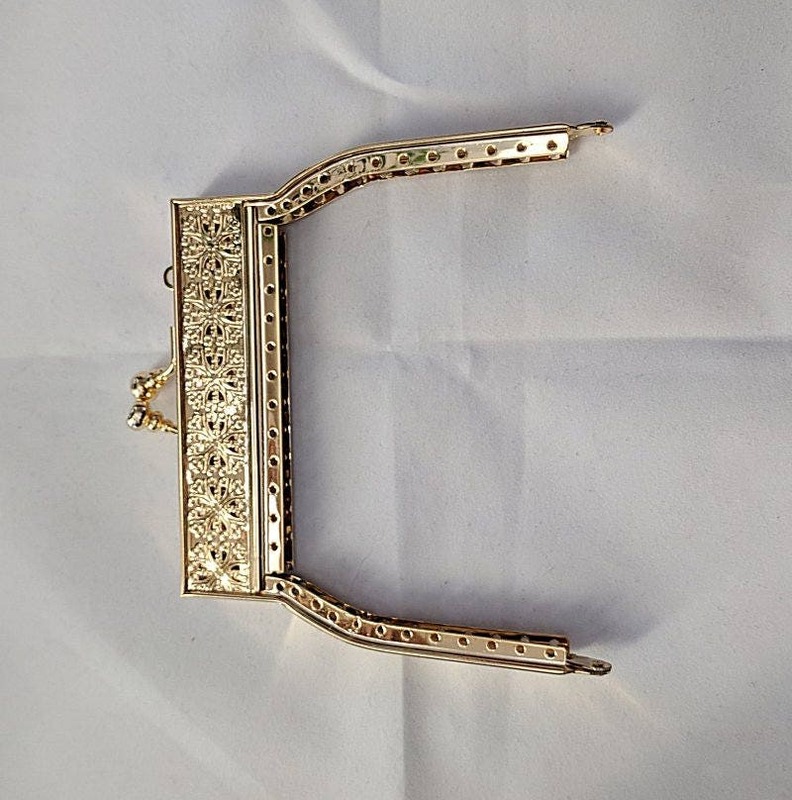 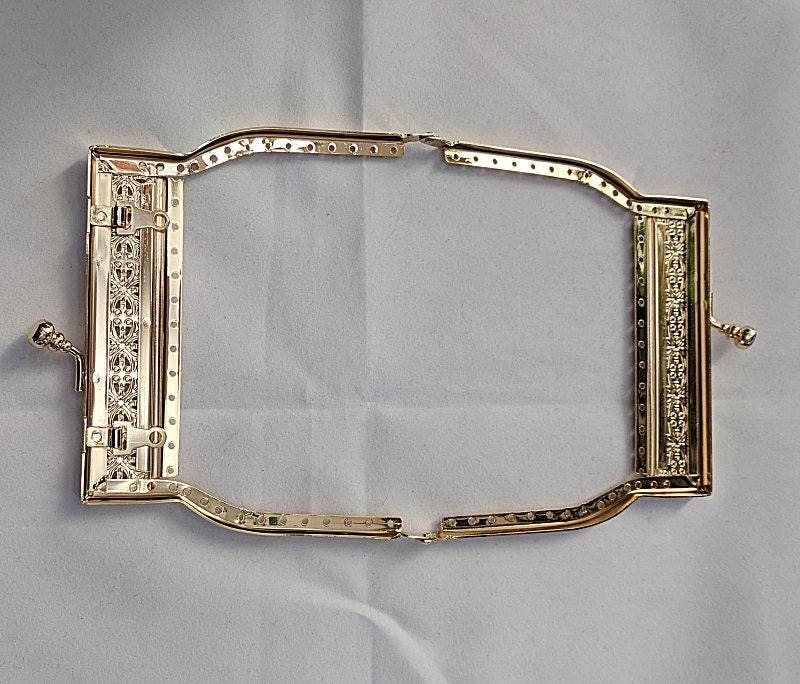 Made of plated gold with a pierced design, this ornate metal purse frame measures 4.5" across and has an angular design. 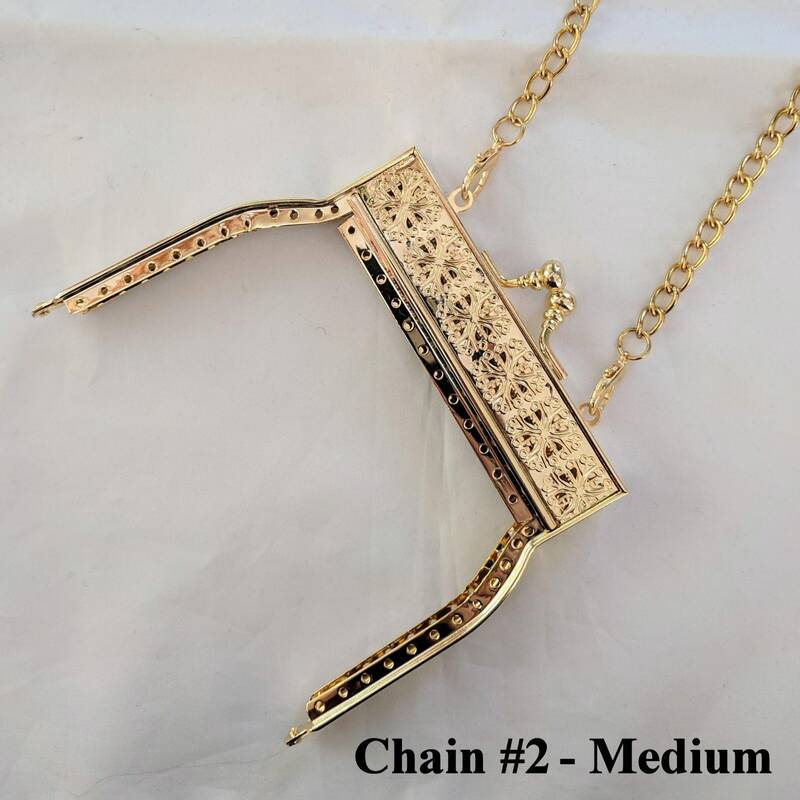 There are hinged loops for a chain that you can make short for a handheld purse or long enough for a shoulder bag. 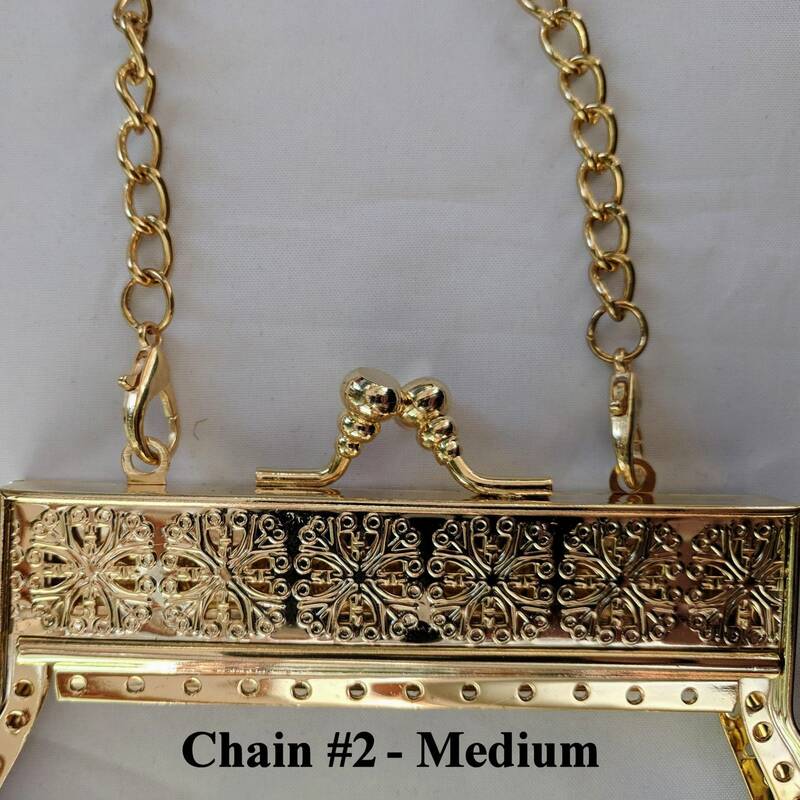 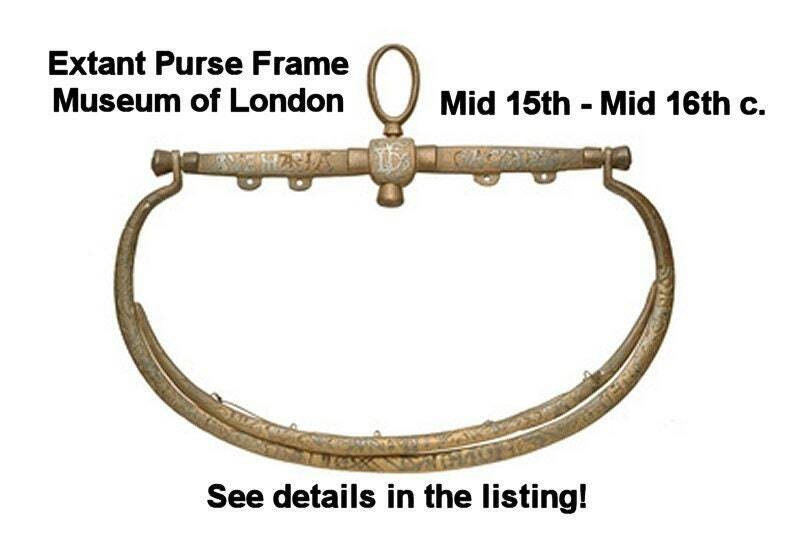 Your choice of only the purse frame or the frame with a chain. 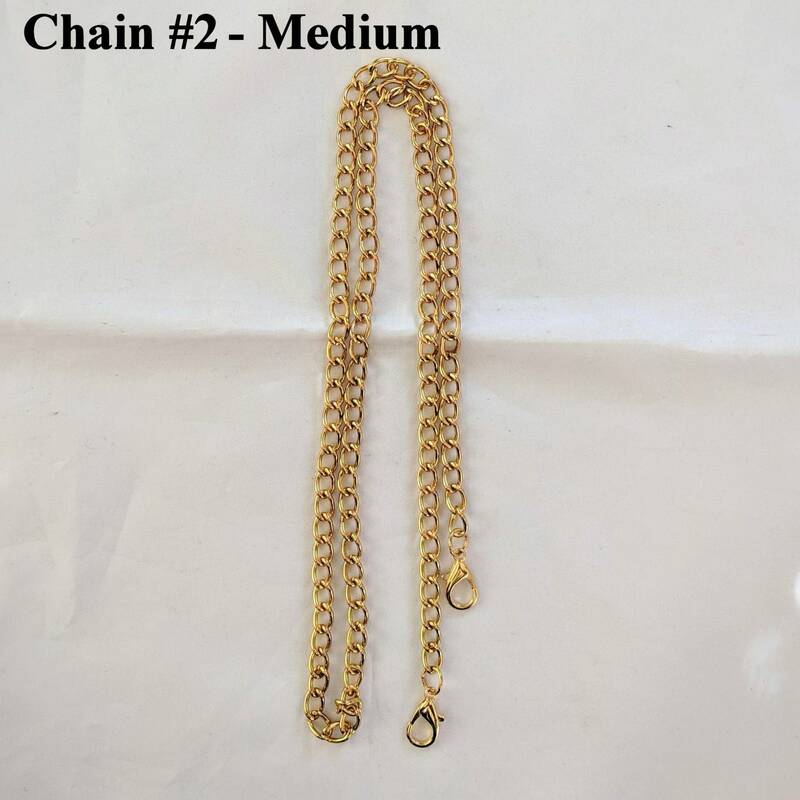 Other lengths/designs of chains can be purchased separately; however, we recommend the #2 medium weight chain (1/4" wide x 40" long) for the filigree frames.